Experience the incredible Noni Nitro difference for yourself! Want to hear more about Sunland Source? 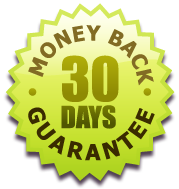 Sunland Source™ offers a 30 day, 100% money-back guarantee for retail customers. If, for any reason, you are not satisfied with your purchase, return it for a full refund. Call for international shipping rates and larger orders quotes.